NEW! First In Math® Carabiner-Style Highlighter. 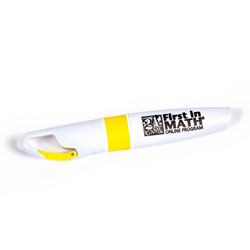 Always have a highlighter handy with this clip-on, carabiner-style marker. Bright yellow highlighter sports the FIM logo on one side. Hook on belt loop, backpack or FIM lanyard!